After Lt. Gov. Dan Patrick announced a proposal to extend the National Guard's stay along the Texas-Mexico border, House Speaker Joe Straus said in effect that such power lies with Gov. Greg Abbott. That's not the only issue causing a potential House-Senate divide. House Speaker Joe Straus became the legislative Border Patrol last week, tapping the brake when Lt. Gov. Dan Patrick proposed booking the National Guard for an extended stay on the Texas-Mexico line. The National Guard has been deployed on the state’s border with Mexico since last summer. That tour ends next month, unless the state wants to put more money into it. Patrick wants to put in $12 million to keep those troops in place until May, which would give him time to push for a longer deployment during the legislative session. Straus called him on it, saying in effect that only Gov. Greg Abbott, as the state’s commander in chief, has the power to play army. State Rep. John Otto, R-Dayton, the House’s chief budget writer, joined the chorus a few days later, saying it would be a lot cheaper and just as effective to put 4,000 cameras on the border so law enforcement officials could monitor activity there all the time. There are plenty of policy questions to consider, like whether this is the right kind of assignment for the National Guard, whether other law enforcement personnel might be more appropriate, and whether the deployments of troops and state police has had any real effect on law enforcement in the state’s border counties. Abbott has not said anything about the arm-wrestling, at least in public. This tension is not just about the border thing. 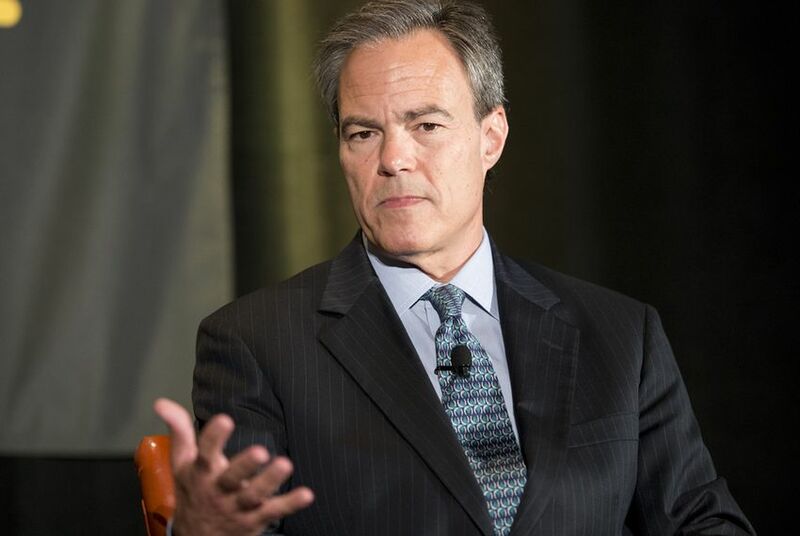 In an interview with James Henson, a Texas Tribune pollster and head of the Texas Politics Project at the University of Texas at Austin, Straus added to the list that starts with border security. He said there are questions to resolve about blocking colleges’ bans on concealed handguns and opposes the repeal of in-state tuition for certain children of undocumented immigrants. That puts him at odds with Patrick on those issues. During the weeks ahead, we all get to find out whether the House and the Senate are taking the same positions as their leaders on those issues. But it’s not just about issues, either. Asked about advocates for “constitutional carry” — which would repeal any state laws that prevent Texans from carrying guns as they wish, with no permits required — Straus said the tactics of advocates had hurt their chances by trying to threaten and intimidate legislators. And he talked about conservative groups and activists threatening to recruit primary opponents for Republicans they find insufficiently conservative. “Texas House members aren’t going to be bullied,” he said. Just as his blitz on bullies was sinking in, somebody gave one of the bullies a stick. Investigators hired to vet the admissions process at UT-Austin found it to be in better shape than critics suggested, but also found instances where President Bill Powers and his staff overturned the decisions of the admissions office and let in students recommended by influential bigwigs inside and outside government and politics. If the Kroll report had been a health check on a restaurant, you’d have learned two things: that the kitchen was pretty clean and didn’t break any laws, and also that the guy who complained about getting sick after dinner had a point. The diner here is Wallace Hall, a UT regent who raised questions about admissions with enough gusto to prompt the House to try to impeach him. That effort fell short. But the Kroll report put a little fuel in his tank. His admirers called it vindication, and there is a fair amount of political overlap between his admirers and the fourth-term speaker’s detractors. Straus has been on a roll since winning re-election to lead the House when the session began. Only 19 members voted against him, providing everybody with an objective measure of the weakness of his opposition. This is the next stage, pitting a conservative House with a fairly temperate leader against a more conservative Senate with a fairly impassioned one. A Senate committee voted last week to send open carry and campus carry handgun legislation to the full Senate. The House seems warmer to the first idea than to the second. And the governor has not been forced to choose sides — or volunteered to, either. Editor's note: An earlier version said House Speaker Joe Straus is opposed to allowing concealed handguns on campuses of state colleges and universities. He actually has said he has some questions about that proposal and cautioned "anyone to ignore Admiral McRaven when you’re talking about arms and ammunition" — a reference to the UT chancellor's statement that concealed handguns would make those campuses less safe.